When it comes to calendars (both editorial and personal) I’ve gone completely digital. I keep my Google calendar open throughout the day and use it to plan all my blog and video content and to keep track of deadlines. Now I’m hooked and I don’t think I could go back to using a paper planner (though their are some really cute ones out there). But one thing I still keep analog is a daily and weekly to-do list. Maybe it’s because there’s something just so satisfying to crossing off items on a list at the end of a day, am I right? If you’re a fan of paper to-do lists too, you’re going to love this free printable weekly planner I designed. 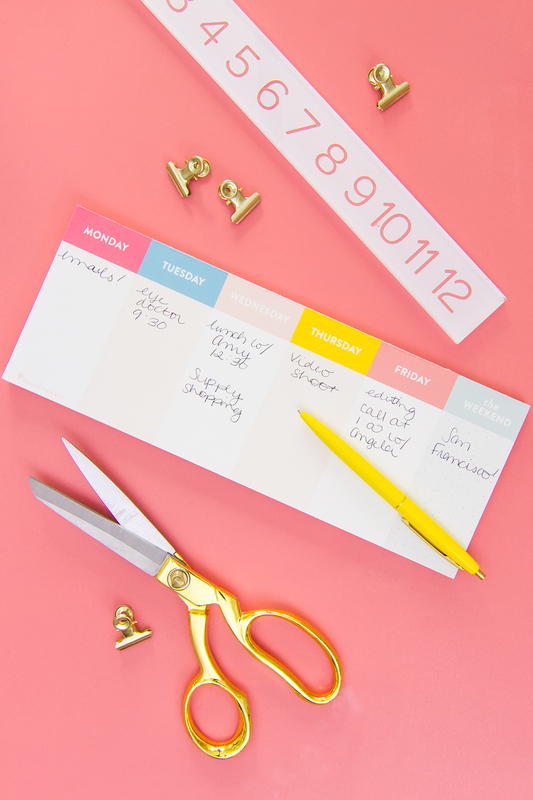 It’s perfect for keeping track of your week and is the perfect size for your desk. 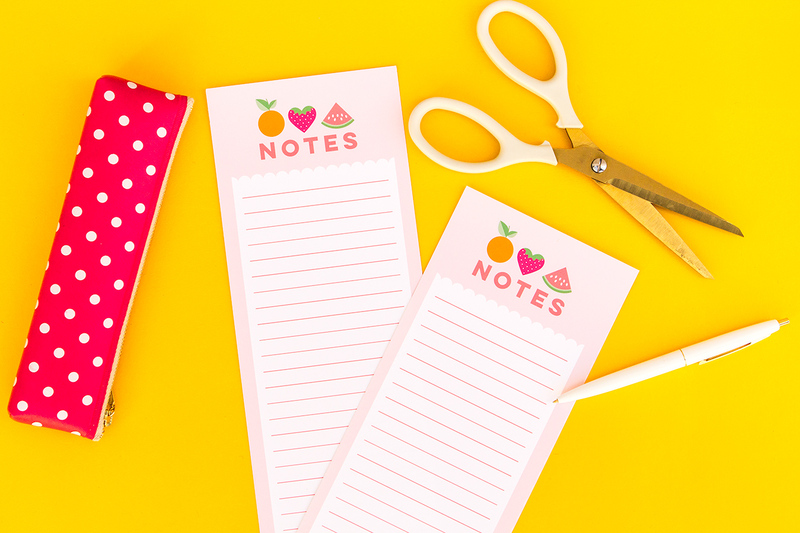 Watch the video below to learn how to make it into a peel-off notepad! Download the printable weekly planner and print it out full size (full bleed or edge to edge) on 8.5″ x 11″ paper. If your printer doesn’t print all the way to edge you can get it printed at your local copy shop. Cut each page in half lengthwise. Stack all the cut sheets of paper and line up the top edge. secure the stack of paper with bull dog clips. Paint a coat of PVA glue along the top edge of the stack of paper. Allow it to dry and paint a second coat. Let the glue dry completely and then it’s ready to be used. 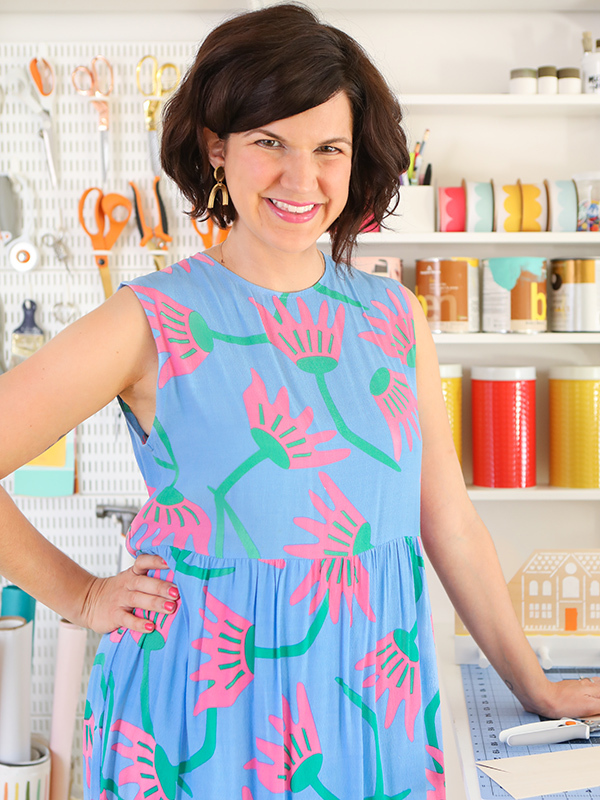 Like my Facebook page to be among the first to see the next DIY video! If you don’t want to special PVA glue, I have made small notepads using Elmer’s Glue and they work just fine. There is probably some chemical difference between the two but for personal use, I didn’t have any trouble. Thanks for sharing that tip, Susan!